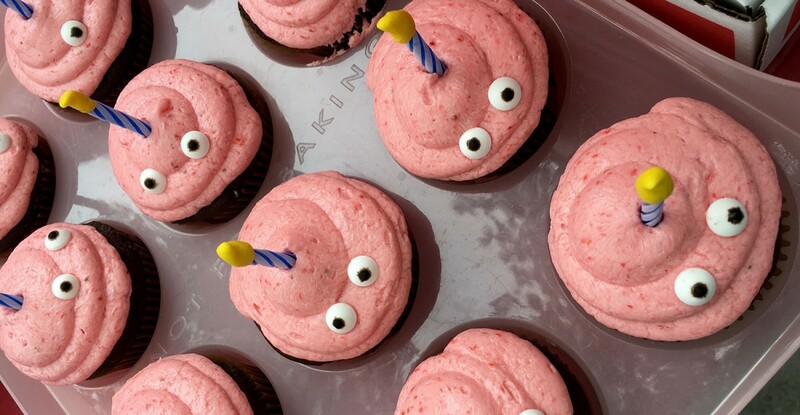 These entries are about the candies, icing, cookies, and fondant I use to top my cupcakes. 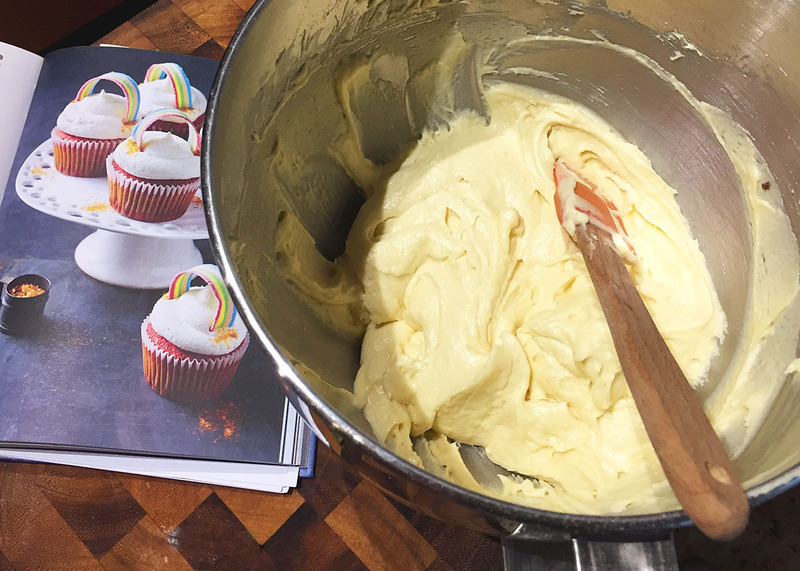 I was delighted to receive a copy of Mima Sinclair’s Rainbow Bakes. It is a beautifully shot, fun cookbook full of all sweets RAINBOW. If you or a little one you know is rainbow-obsessed, you need this for your baking book collection. Sinclair’s treats range from full-sized cakes to cake in a jar and include cookies and candies, too. 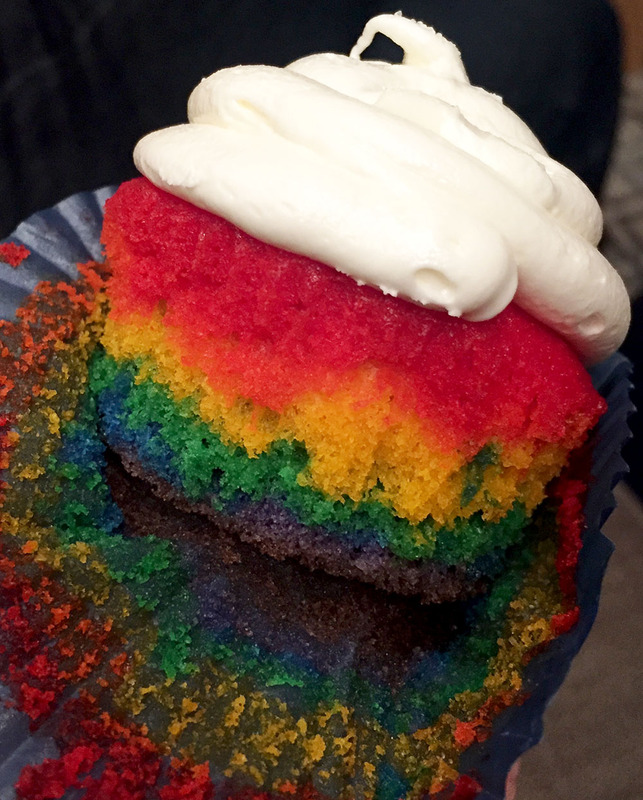 Rainbow Bakes not only has recipes but also offers tips and techniques on types of food coloring and sprinkles for different situations. 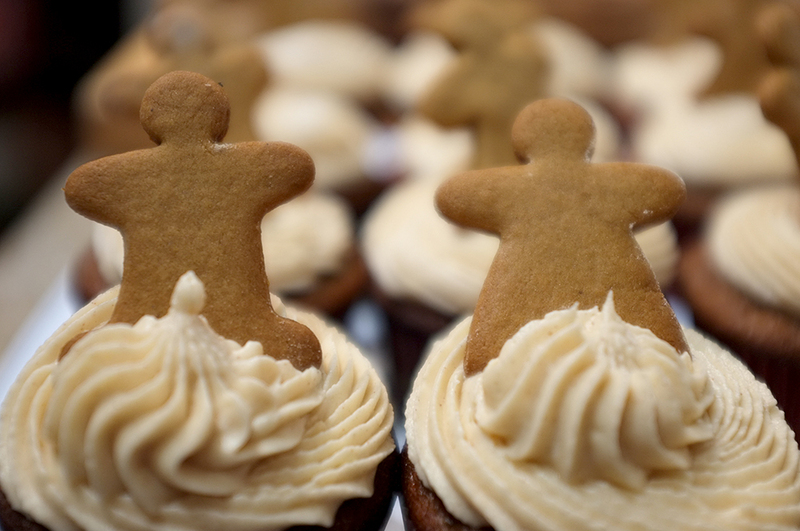 Beware, not all sprinkles can withstand the baking process, so study up, confetti bakers! 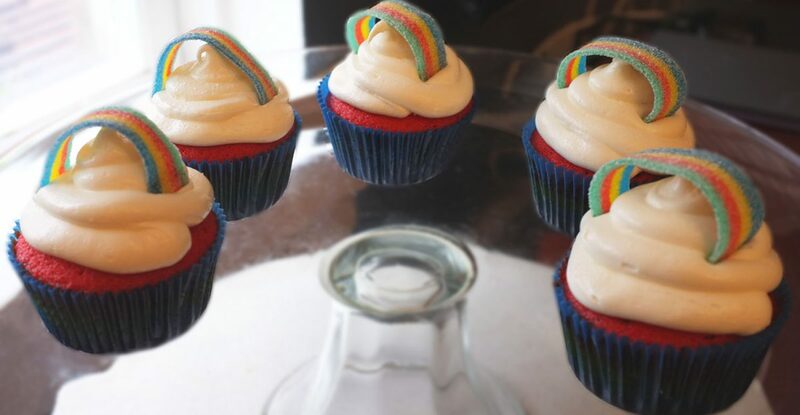 Though there are many tempting recipes, I just had to try my hand at her Over the Rainbow Cupcakes. 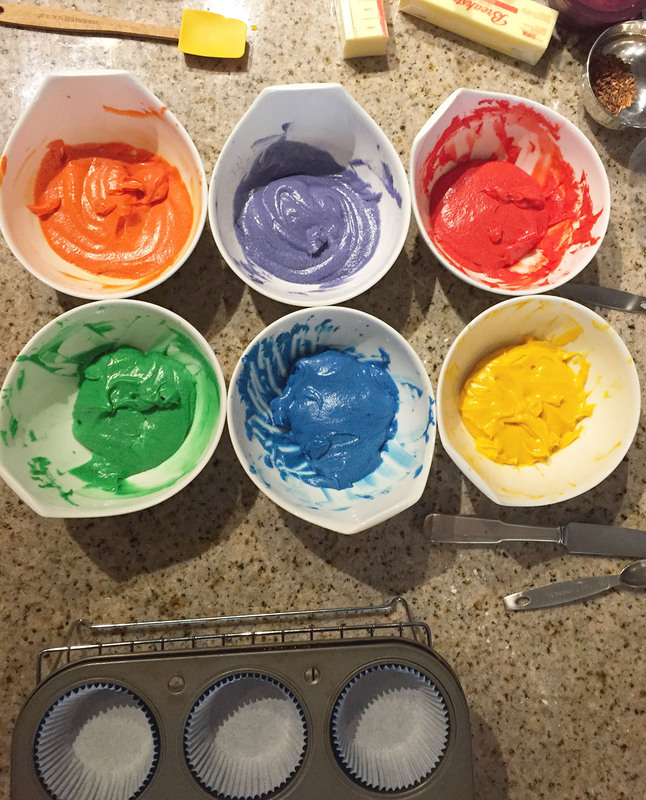 These cupcakes take a little work, as you must divide the batter and use food-coloring gel to make purple, blue, green, yellow, orange and red. 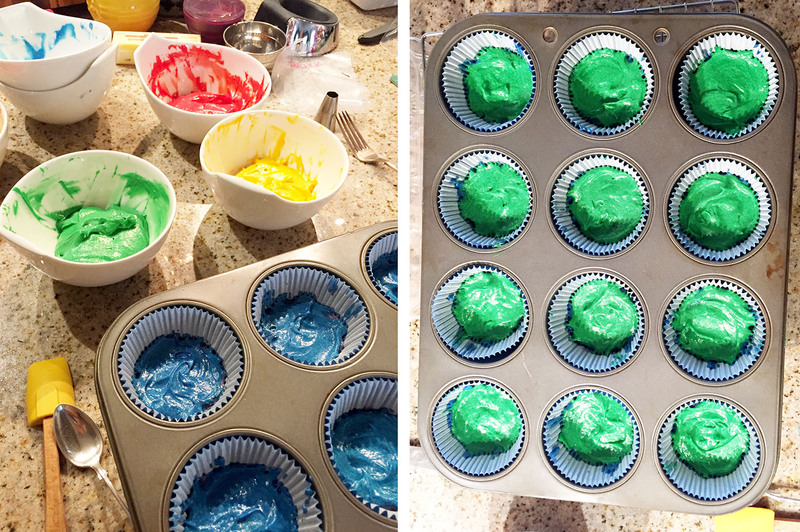 You must then carefully fill the cupcake liners color by color, spreading each to make a distinct color layer. 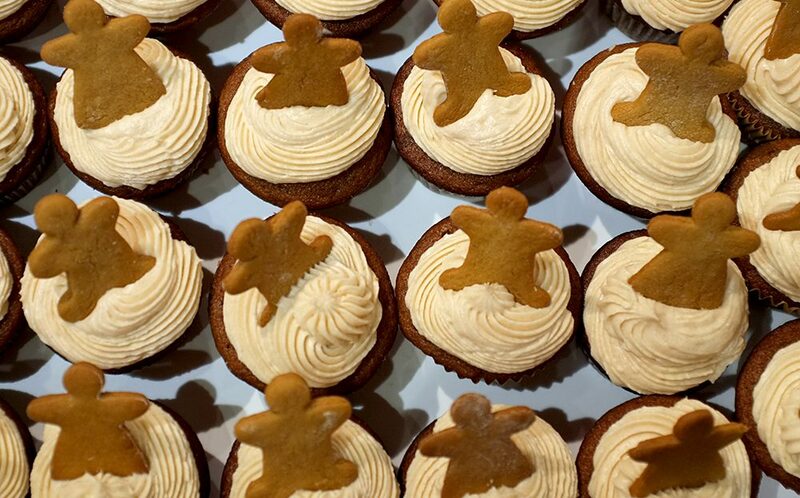 The cupcakes were good, I liked that they were not too sweet. They did come out a little salty to my taste. That may be to balance the sweet marshmallow frosting. (Yum!) If I bake these again–not sure I have the patience, though they certainly did impress!–I would use a little less salt. The layers can’t be perfect, and the batter moves around some when baking, but the result is striking! 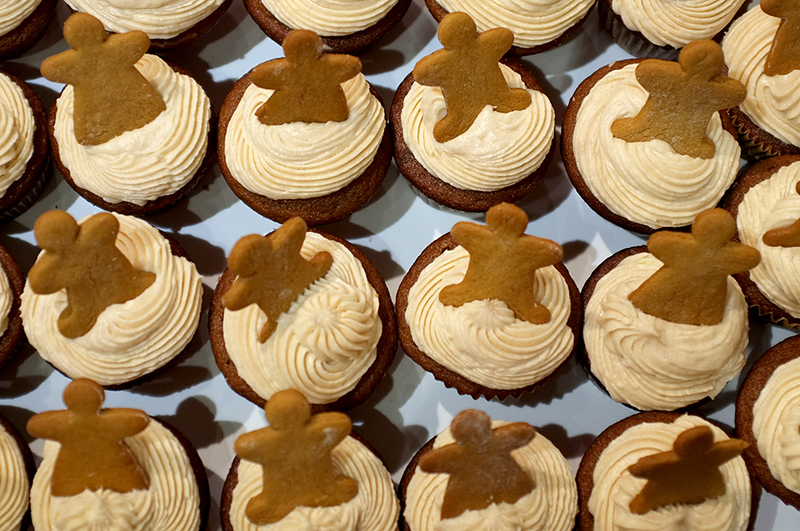 Overall, these were very fun to bake, give and eat! I look forward to trying some of the other recipes next time I am in the mood for something colorful. 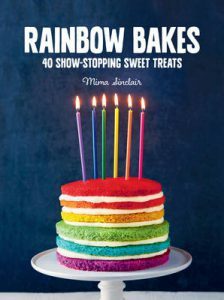 I received a complimentary copy of Rainbow Bakes by Mima Sinclair for review. For more information about this book, please visit the Kyle Books website. 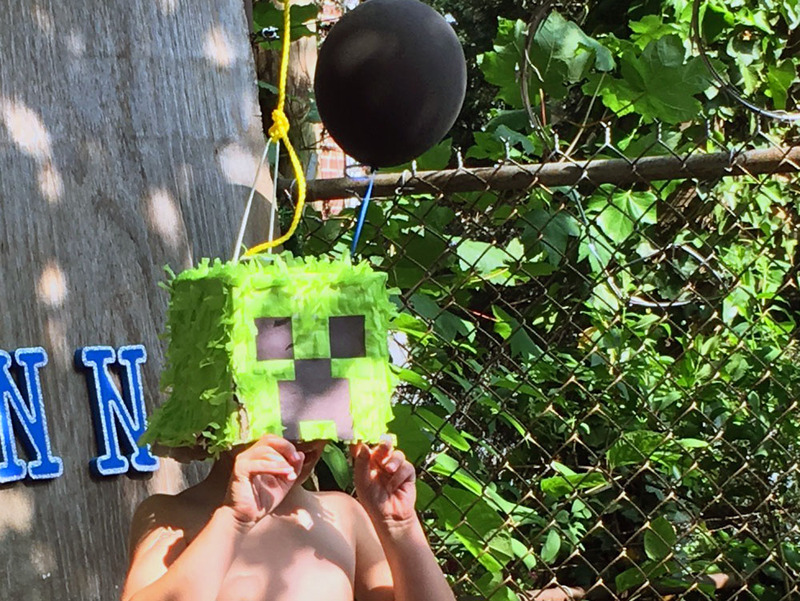 A satisfied customer requested Minecraft cupcakes for his birthday the second year in a row. 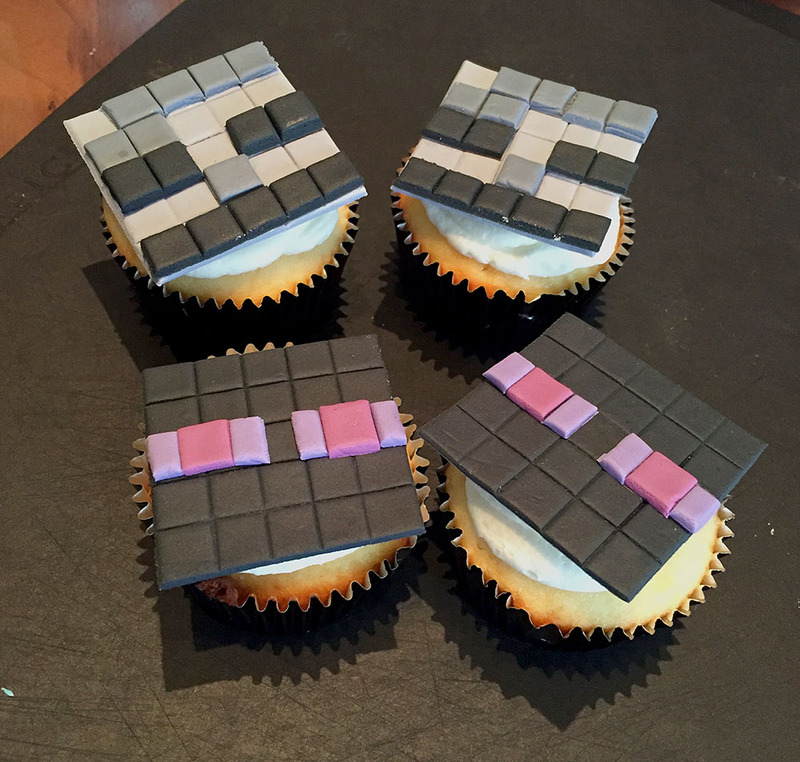 I had made Creepers last year, so this time I tried my hand at Skeleton and Enderman cupcake toppers. 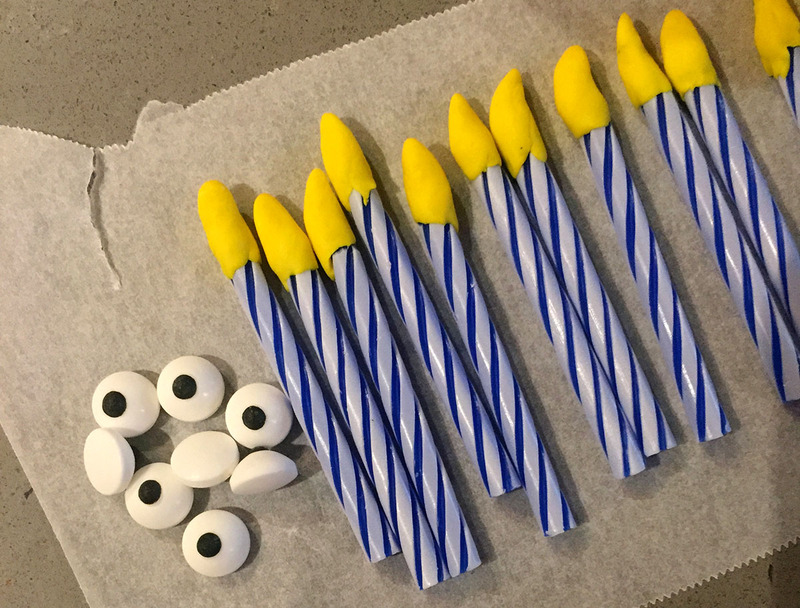 I again used gum paste and the same general method as the 2015 versions. One change, I bought 1 cm graph paper, so I did not have to draw a grid. I simply taped my graph paper beneath parchment. I rolled out and cut 5×5 squares, scoring them lightly for the bases. 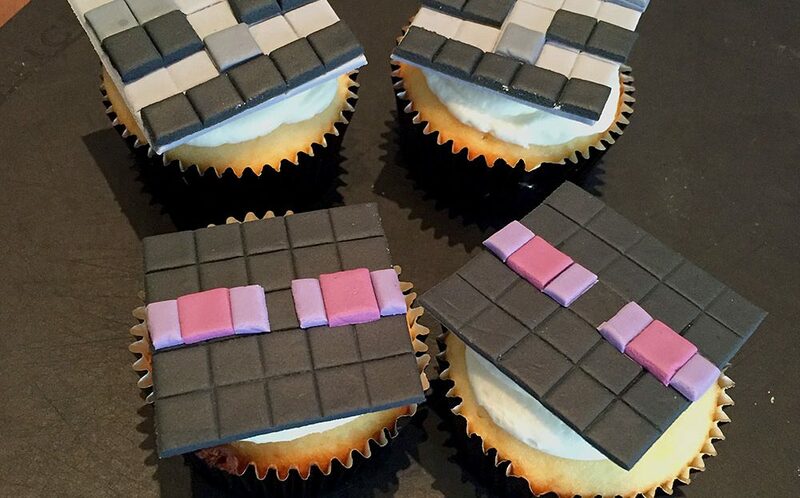 The Enderman toppers were a little tricky, as I needed a 1/2 square on each side of the eyes. I did my best, but did not go to the extent of measuring millimeter by millimeter. The Skeletons were easier, just a lot more squares! 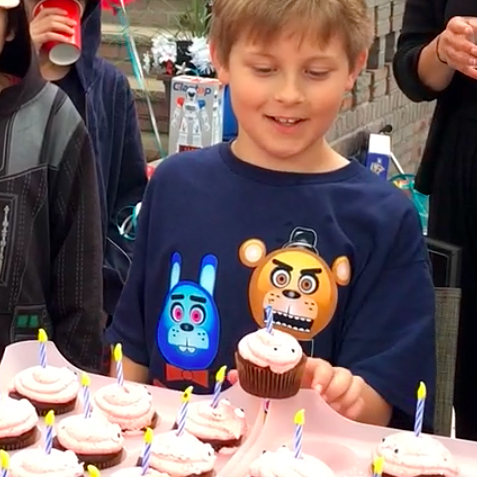 Plus, I had help from the birthday boy’s mom. In 2007, I wrote a post about Harry Potter and mentioned my current fantasy favorite as George R.R. Martin’s A Song of Ice and Fire series. I noted that “I won’t run into too many people reading it on the subway.” Boy, was I wrong about that! Little did I know that these books would become a hugely successful HBO series. Almost everyone is familiar with Game of Thrones now, even if they do not watch the show. I watch with some friends, and we tend to wait to view 2-3 at a time after the premier. I haven’t seen Episode 2 of Season 6 yet, please don’t tell me the Big Things that happened! I can tell this will be a tough season to delay watching. Last year, I baked a castle cake for the premier. 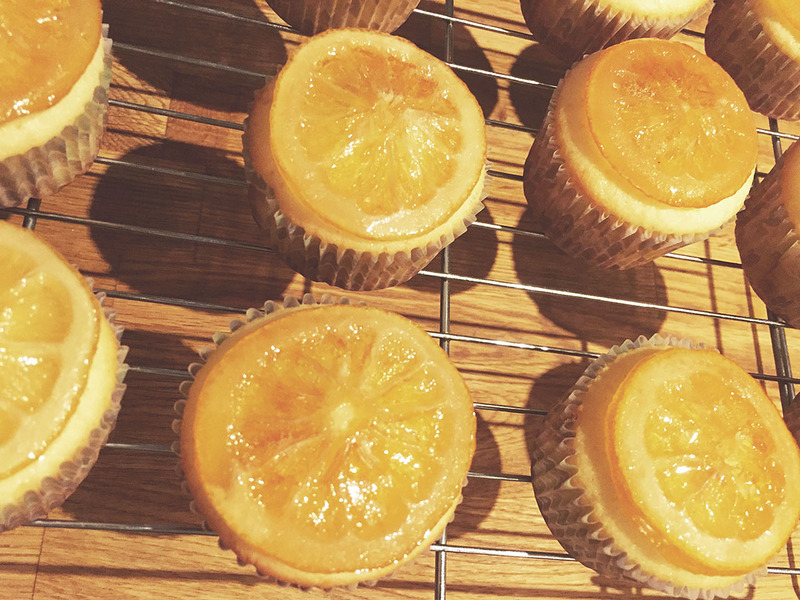 This time, I decided to make a version of the go-to Game of Thrones dessert, the lemon cakes Sansa Stark adores. Sadly, she has not gotten to enjoy any lately. There are a lot of recipes out there for this Westeros treat. (If you are a fan of the series, you should check out Inn at the Crossroads.) 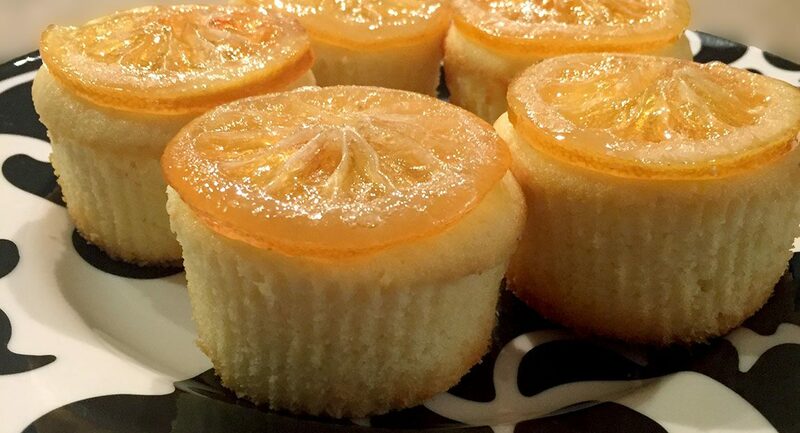 My interpretation of a lemon cake is a lemon cupcake with a candied lemon on top. 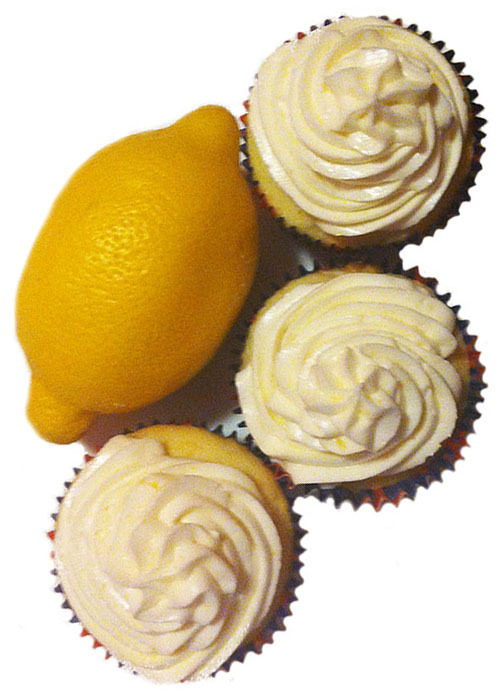 Since I have a tried and true Lemon Cupcake recipe, I didn’t mess around trying any others. To prepare the lemons, I cut them into 1/8″-1/4″ inch slices and removed the seeds. I tried to use a mandoline, but it did not work well for me. The blade caught on the rind—possibly a problem with my technique or the mandoline itself—squeezing the fruit too much before slicing. I had better luck carefully cutting with a knife. I cut enough to get 12 complete rings of similar size, keeping the smaller ends of the lemons for juicing. I blanched in boiling water for 1 minute, then chilled in ice water. I dissolved 2 cups of sugar in 1 cup of water in a large pan, brought it to a simmer, then added the lemon slices in one layer. They simmered for an hour before I took them out to cool and harden on a wire rack. 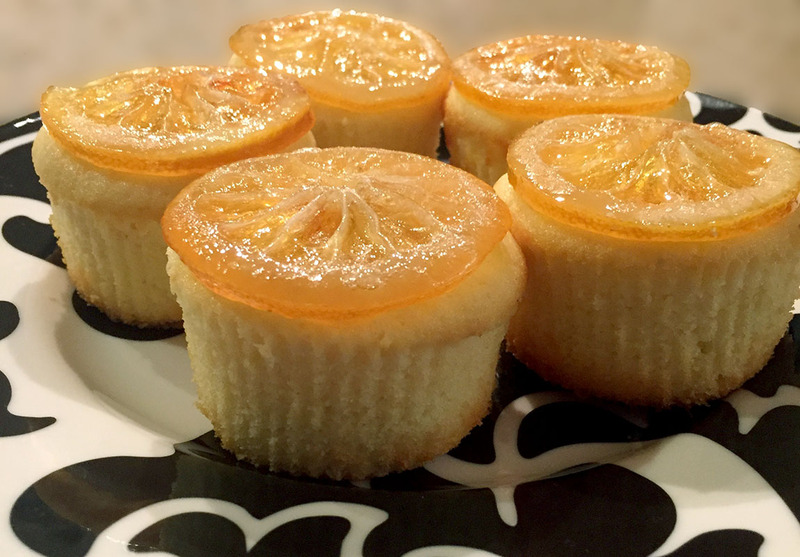 I did not let the lemon slices dry completely before I put them on top of my cupcakes, so they would stick to the cakes. They remained moist, which was fine for my purposes. For real candied lemons, let them dry overnight. 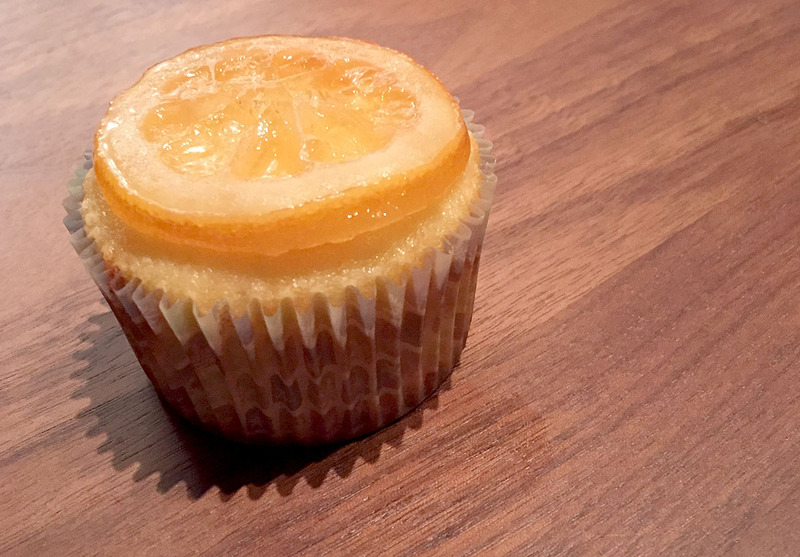 I removed the cupcake liners before serving. I don’t think they have such things in the Seven Kingdoms! 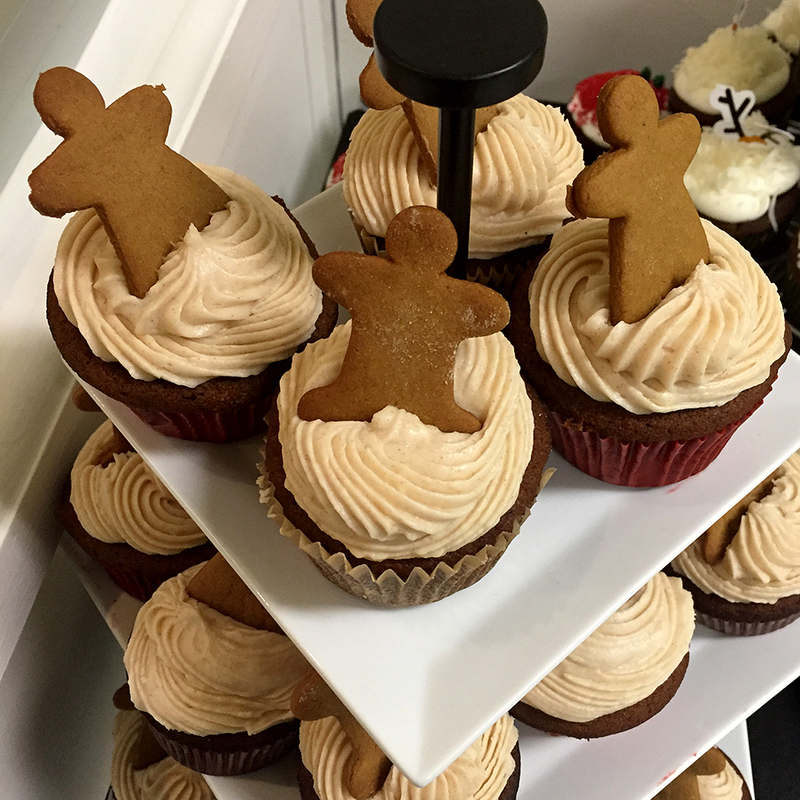 I baked gingerbread cupcakes with cinnamon cream cheese frosting for my office holiday party. I couldn’t resist making some ginger people to top them! 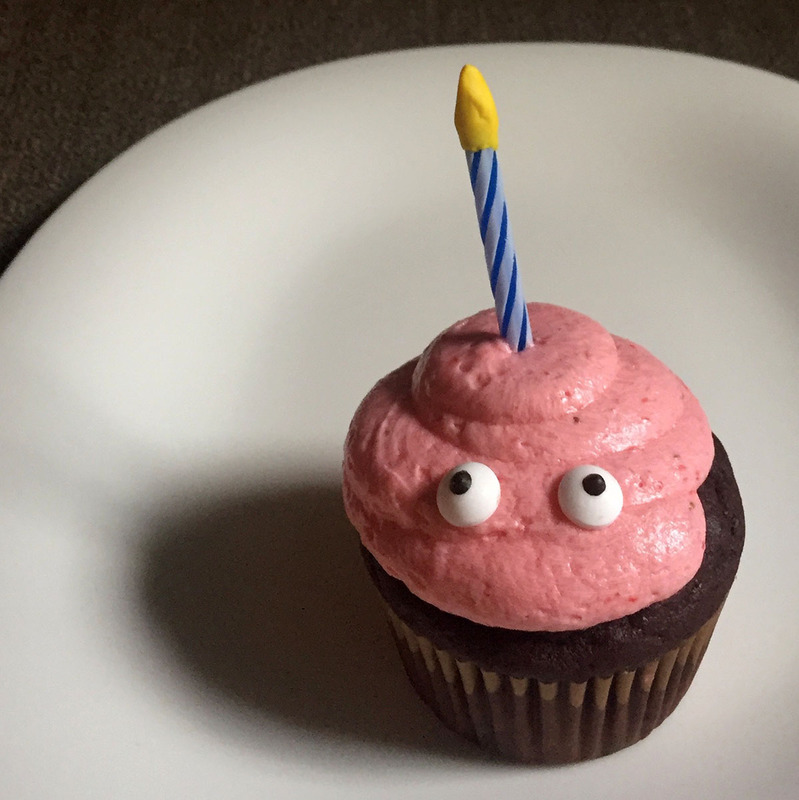 The frosting was, I must say, amazing. I’d made cinnamon before, and cream cheese, but never the two together. Definitely recommended! I basically just added a teaspoon of cinnamon to my regular cream cheese frosting.